I’ve got a new story out! Check out “Applied Linguistics” in the Jan/Feb 2019 issue of Analog! It’s available online or in print form, and I’m pretty damned proud of it – it’s about language and learning and how cultural context can change, inform, or even create behavior and self-knowledge. And shape-shifting aliens on alien prison planets, so that’s cool, too! There are a lot of other very cool stories by very talented authors in there, too. I especially liked “Ring Wave” by Tom Jolly and Adam-Troy Castro’s latest Draiken tale was a lot of fun. Check it out – you won’t regret it! The Far Far Better Thing: Pre-order NOW! Auston Habershaw’s epic fantasy series, The Saga of the Redeemed, which began with The Oldest Trick, comes to a powerful conclusion in The Far Far Better Thing. War has come to Eretheria. With Tyvian Reldamar feigning his death, the forces that still carry his banner are left to fight a vicious battle against the warlord Banric Sahand and the noble houses that flock to his side. Led by Myreon and Artus, this band of freedom fighters and angry rebels is faced with an enemy the likes of which they’ve never faced before: one who will do anything, no matter how brutal, to secure victory. Having had his fill of death, Tyvian tries to run away from the war fought in his name, but it just isn’t that simple. With his mother held prisoner, Artus and Myreon in grave danger, and Xahlven pulling the strings in the background, the ring drags Tyvian to return and set things right. But how can one man fix a world this broken? And what will be left behind when the smoke clears? No one can say for sure. Sounds grim, right? Ominous? Yes! But it’s also fun and wonderful and I daresay I’m very proud of it. I can’t wait for you all to get a chance to read it, and thank you to everyone who’s supported me and gotten me this far! Oh, and did I mention pre-orders really help my Amazon ranking once the book releases? It’s true! 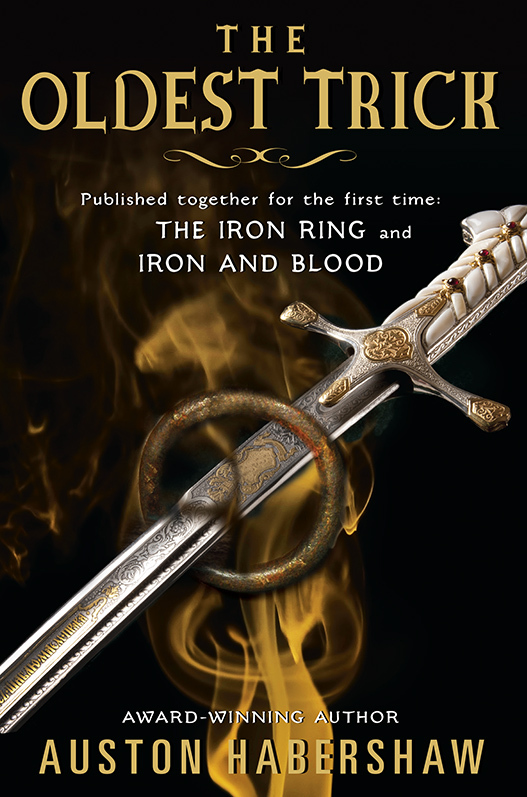 And, for those of you who have read the previous books but haven’t told anyone – tell people! Word of mouth is the best way to sell books there is, and these books of mine could use some attention, so if you liked them, recommend them to a friend! Write a review (anywhere! Goodreads, Amazon, B&N, your blog, Twitter, whatever!)! Thanks again, everyone, and pre-order Book 4 today! DEAD BUT ONCE – Out Today! 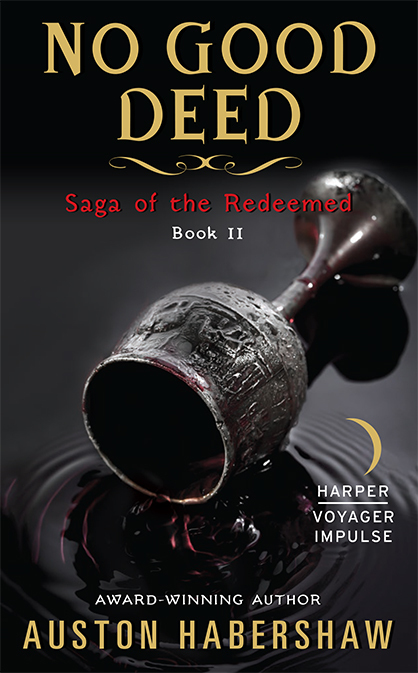 The third book in THE SAGA OF THE REDEEMED releases today in e-book! Go and get it now! Eh? Ehhhh? Pretty cool, right? Now, I wrote this book so that people new to the series could follow along, but if you’d rather catch up (and I recommend it) you can find links to the first two books (THE OLDEST TRICK and NO GOOD DEED) right here on this blog. Otherwise, what are you waiting for? Go and get it! Experience high adventure, conspiracy, plots, balls, and all the great times such things entail!